Norwegian aluminium smelter Norsk Hydro ASA announced yesterday that Pará Secretary of State for Environment and Sustainability (SEMAS) has determined that operations at Alumina do Norte do Brasil S.A. (Alunorte) may now safely resume. Though Hydro warns that the Brazilian federal court must still act to remove the production embargo, it says that it has made the court aware of its decision and findings. However, officials at the company greet the news as a critical next step to reopening full production at the world’s biggest alumina refinery. Concurrent with SEMAS’s ruling, professors at Federal University of Campina Grande released results of a study of Alunorte’s operations. Recognized in Brazil as noted specialists in the field of chemical engineering, the team examined Alunorte’s water management apparatus and found that the plant may safely operate at full capacity without fear of leaks or other contamination of the local watershed. Alunorte was restricted to half capacity almost a year ago in the wake of severe areal flooding. Prompted by fears of toxic release, state and federal agencies prohibited it from using the new bauxite residue area (DRS2). Forced to fill DRS1 to capacity, the plant nearly closed entirely until state and federal officials acquiesced to the plant’s partial reopening under its supervision. At present, Alunorte is operating at around 230 thousand metric tons per annum. In addition to providing feedstock to the nearby Albras aluminium smelter, the plant is a major contributor to the global supply of alumina. Coupled with a strike at Alcoa’s alumina operations and United States government sanctions on Russian Federation alumina and aluminium producer U.C. 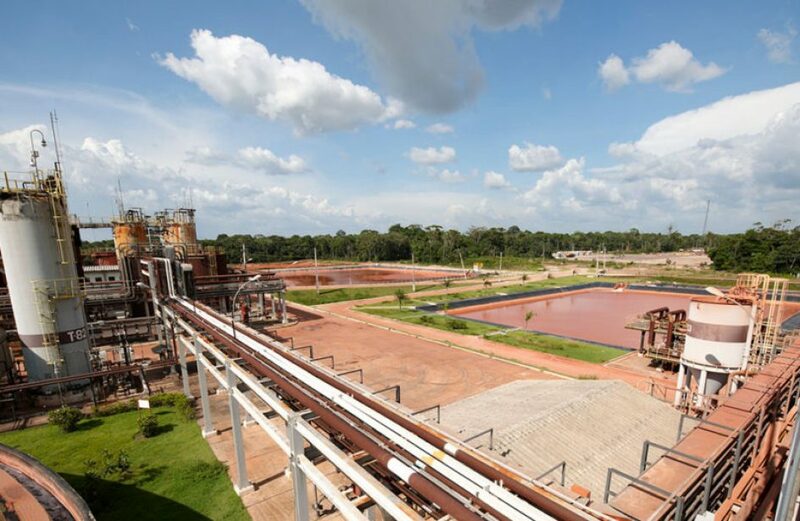 Rusal, the difficulties encountered over the past year at Alunorte have caused significant and costly disruptions to the world alumina market.